Introducing LIFTTT = Location + IFTTT; adding the power of contextual location to the IFTTT. The list of possibilities is endless! 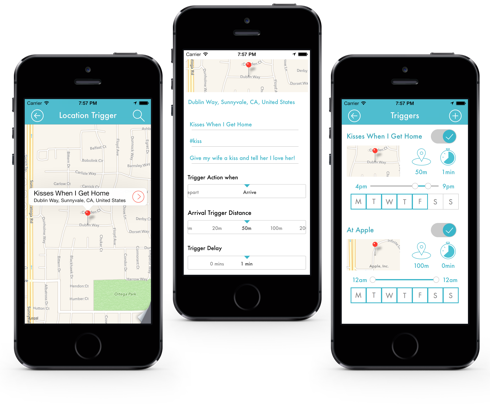 We’ve included incredible customisations to let you control how and when location triggers occur e.g. So come try out the app – LIFTTT is free to download!